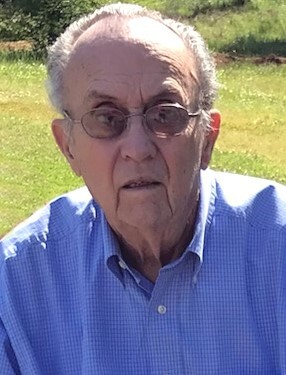 Anniston - Funeral service for Mr. Paskal Knox “P.K.” Brooks, 87, will be held on Saturday, April 6, 2019, at Saks Baptist Church at 1:00 p.m. Rev. Daniel Harper and Rev. Stephen Sapp will be officiating. Burial will follow the service in Anniston Memorial Gardens. The family will receive friends Friday from 5-8 p.m. at the church and one hour prior to the service on Saturday. P.K. went home to be with his Lord on Tuesday, April 2, 2019. P.K. grew up in Wedowee, Alabama and played basketball for Randolph County High School. He later joined the US Navy and served his country during the Korean War Era. P.K. was a Naval veteran of four years (Sept. ‘49 - July ‘54). He then went on to attend Jacksonville State University (nee Jacksonville State College), at night for five years, while he worked as a full-time barber. P.K. was a man of service and gave to his community and fellow citizens throughout his entire life. He served in the Saks community since August 1954, belonging to numerous organizations including the Civitan Club, the VFW, and the Gideon’s. P.K. owned and operated several businesses throughout his life-time which consisted of Brooks Tire Service, Brooks Body Shop, Brooks Barber Shop, where he was a barber for 23 years, and P.K. Brooks Used Cars, LLC, of which he operated for a total of 41 years. He also developed Brookwood subdivision in Indian Oaks. P.K. was a very kind and respected man to all of his customers and made insurmountable amounts of friends. On March 28, 2010, P.K. was recognized by Congressman Mike Rogers, Alabama State Representative Randy Wood, Calhoun County Commissioner J.D. Hess, his pastor, Rev. Daniel Harper and a host of family and friends, for a P.K. Brooks Day in honor of his service to his community. P.K. had been an active member of Saks Baptist Church for the last 62 years where he served as a Sunday School teacher and helped organize a boys basketball team. He loved the Lord with all of his heart and he loved his church. P.K. will forever be remembered throughout the area for his notable service and gratitude and will be greatly missed. Leaving behind to cherish his memory is his wife of 41 years, Rita A. Brooks; two sons, Wayne (Jackie) Brooks and Greg (Caroline) Wheeler; one daughter, Anita Brooks Westfall; grandchildren, Bethany (Terry) Babb, Sarah (Jacob) Givens, Amanda Barbao, Danyelle Westfall, Richmond Wheeler, and Bama Jane Wheeler; great-grandchildren, Coleman Carlisle, Palmer Willms, and Elias Barbao; one nephew, Luther Brooks; two nieces, Peggy Murray and Polly Hardegree; and one sister-in-law, Betty Brooks. Pallbearers will be Corey McWhorter, Shawn McWhorter, Logan McWhorter, Jacob Givens, Jason Hardegree and Terry Norred. Honorary pallbearers will be the Chilton Sunday School Class and the Seniors Couples Class. P.K. 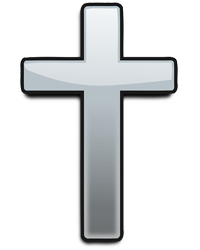 was preceded in death by his parents, Paskal Knox Brooks, Sr. and Eunice Clarke Tillison; and two brothers, Clyde Brooks and Virgil Brooks. The family would like to extend a special thanks to Amedysis Home Health Care, Home Instead, and special caregivers for their continued support and devoted care. Flowers will be accepted or donations may be made to Saks Baptist Church, 2945 Hwy 431 N, Anniston, AL 36206.